This is another model that should have been on the old site but wasn’t. 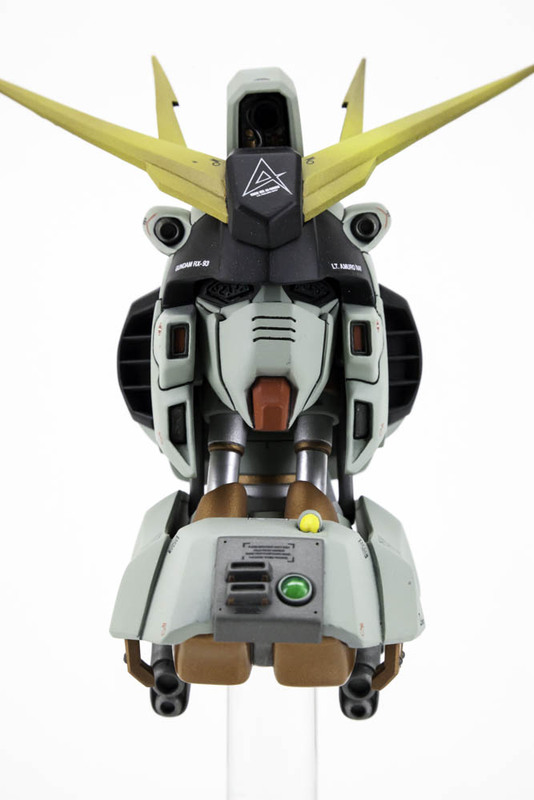 This is the G-System 1/35 Nu Gundam Head Model (Original Version). 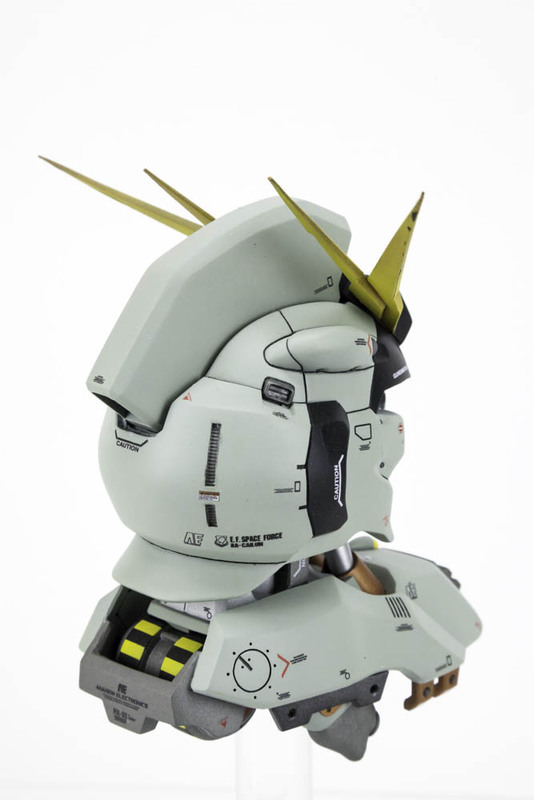 After this version was released G-Sys revised the design of this model to be more angular with fewer curves around the back of the head. I like this version better because of the curves. 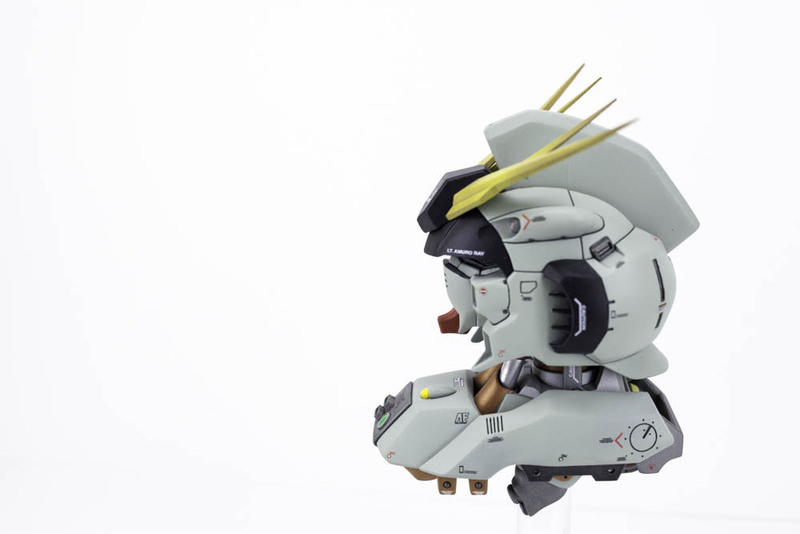 This is essentially a straight build with very little modification. The only change that I made to this piece was to add some detailing to the front cowl just in front of the neck. I added some plastic plate, a couple option parts, a green circular lens and some decals. The rest of it is original to the kit. 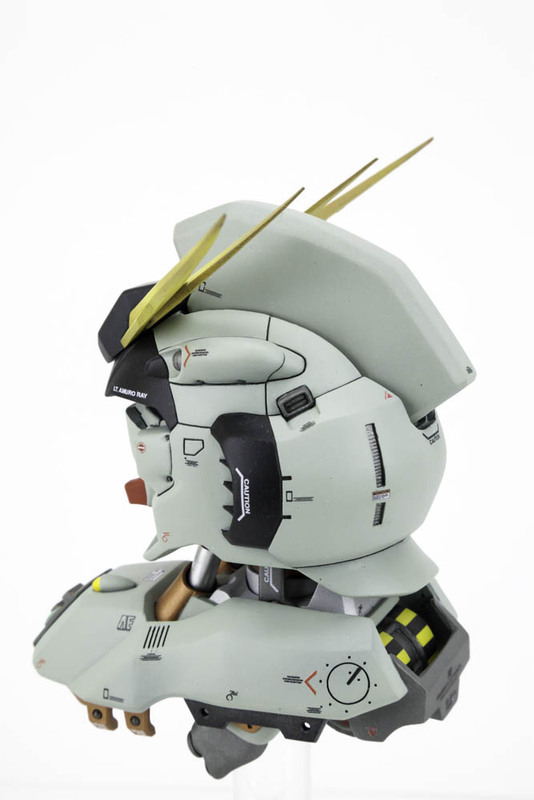 I think that this kit was outstanding out of the box, so I saw no need to complicate it by adding unnecessary detail. Sometimes less is more. I wanted to do a bit of a modified paint scheme with this one so I added black to the side intakes and black on the hood just under the V-fin. I also painted the rest a light gray instead of the traditional white. To break up those two colors I painted the mechanics in a variety of metallic colors like silver, gunmetal, and copper. Around the back I painted the tubular mechanism in a black and yellow zebra stripe to convey importance and warning. This piece is finished off with custom decals that I designed and printed myself.